A radiant eye liner that also doubles as an eyeshadow. Made with a blend of mineral oil and powder our creamy Jumbo Eye Pencils glide on effortlessly—no pulling tugging or fading—and come in a rainbow of vivid hues. Our most voluptuous pencil yet! Our Jumbo Eye Pencils can be sharpened with a sharpener that has an opening for a large pencil. 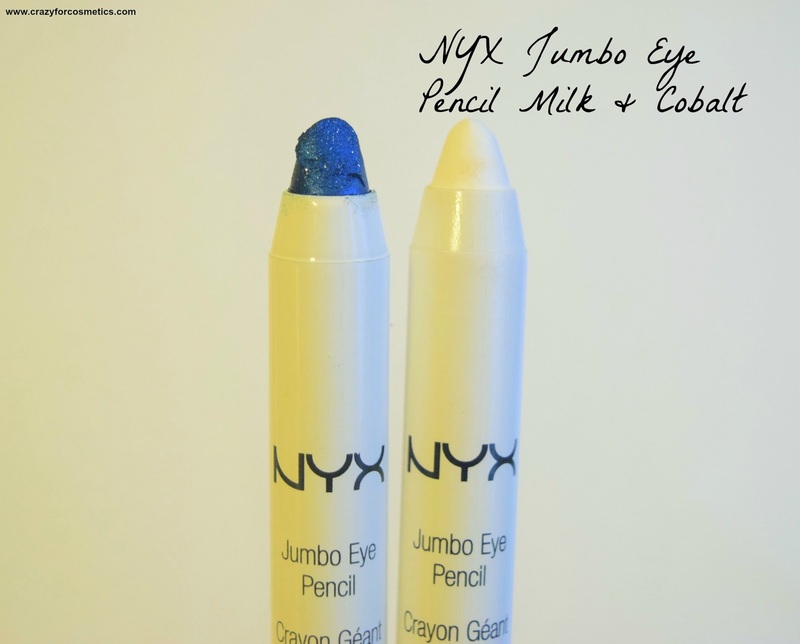 The NYX Jumbo eye pencils are so convenient with their packaging because they can be stored in a small pouch too. 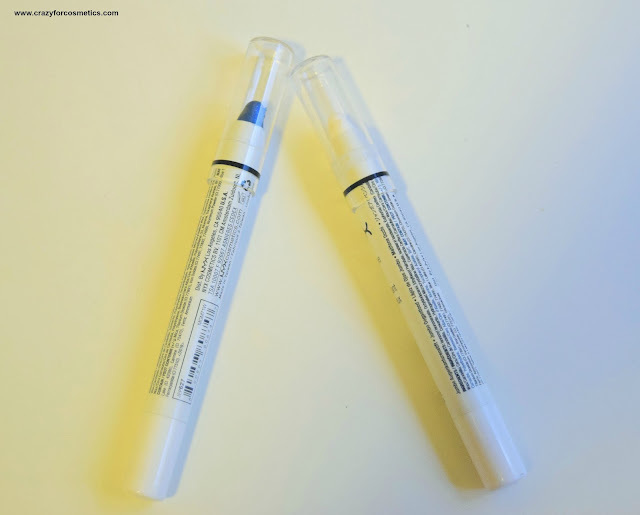 They come in a packaging which matches with the shade of the color they deliver and it is easy to identify if you have many of them. The eye pencil needs to be sharpened and I wish they could come in a retractable form. 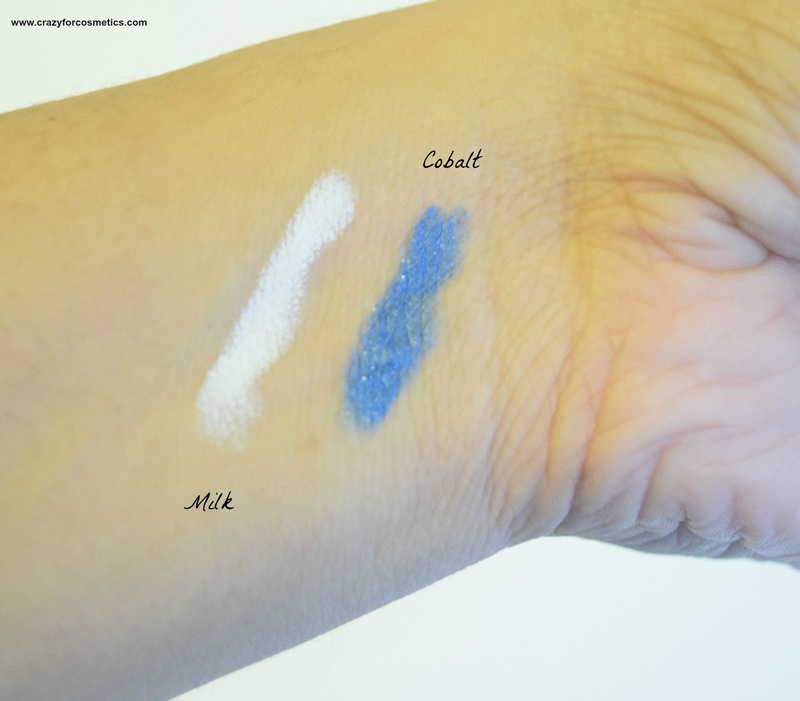 The shades cobalt and milk are so versatile and can be used as either an eyeshadow or an eyeshadow base. Milk is a pure white shade with no shimmer and it can be used as a base for light colors such as gold, peach, and beige. The cobalt shade is a gorgeous dark blue with mild shimmers which can be used as a base for dark shades of blue and black. The pigmentation of the milk shade is quite strong but the cobalt one is not that strong. The product is really creamy which makes it easy to glide gently on the eyelids. 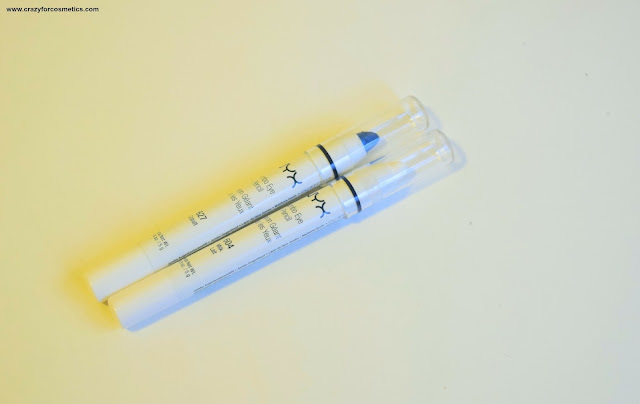 The milk eye pencil gives a nice white color payoff which can be used as a base for all the colors since it would make the colors stand out and appear brighter. 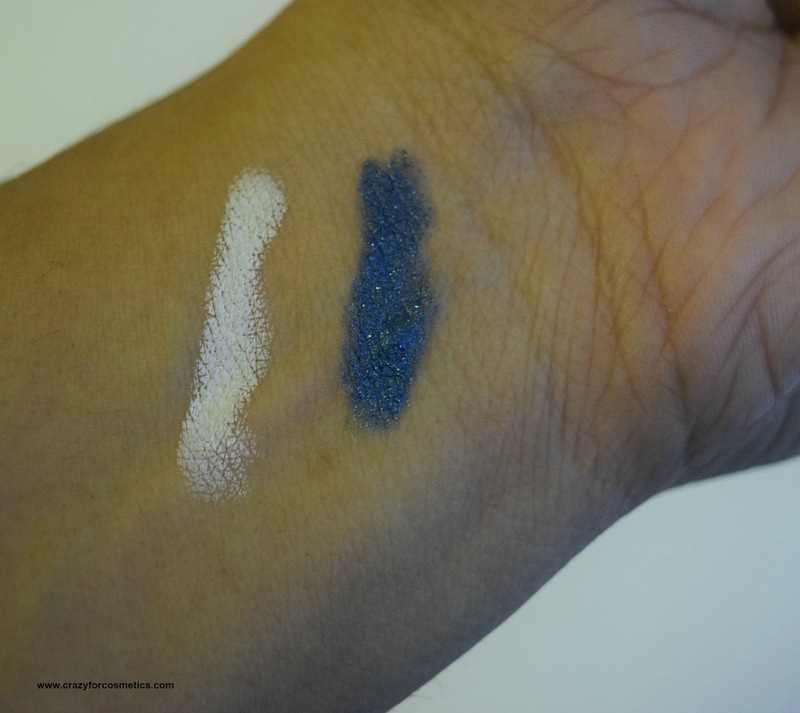 The cobalt shade transfers as a medium to dark blue shade on the eyes and can act as a good base for dark smokey eyes and the color can be built on with more swipes. 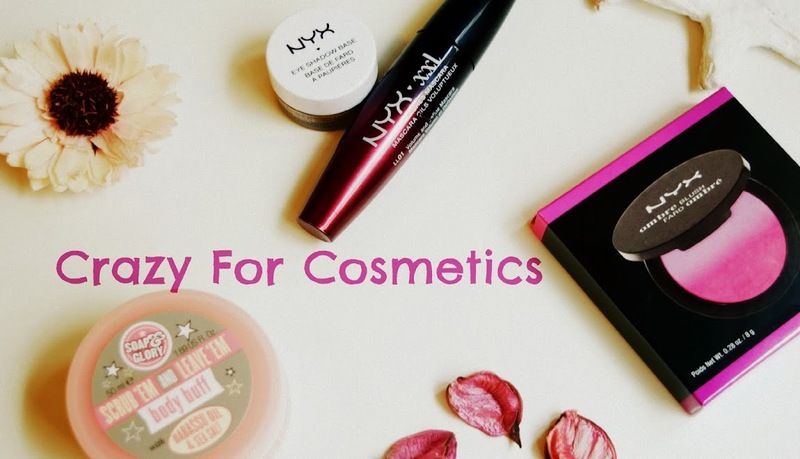 It is better to set the creme base with powder so that it does not smudge and stays for a long time.In case you want to use it as an eyeshadow on its own, then you can just smudge it while it is still wet. It helps to make the eyeshadow stay for at least 7 hours without creasing , which is absolutely a delight. 3 :Helps to the emphasize the eyeshadow pigments better and increases staying power. 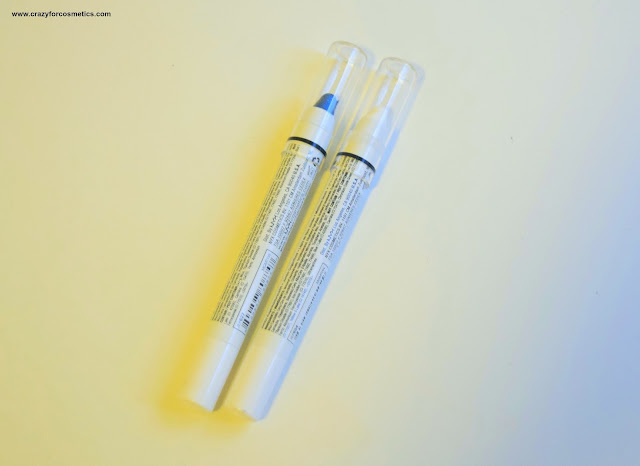 4 : Can be used as a base or as an eyeshadow as well. 1 : Need to be sharpened often because the formula is quite creamy.